1. Don’t forget to assess the situation and make the appropriate phone calls. Assess your situation and determine the proper order of priority. 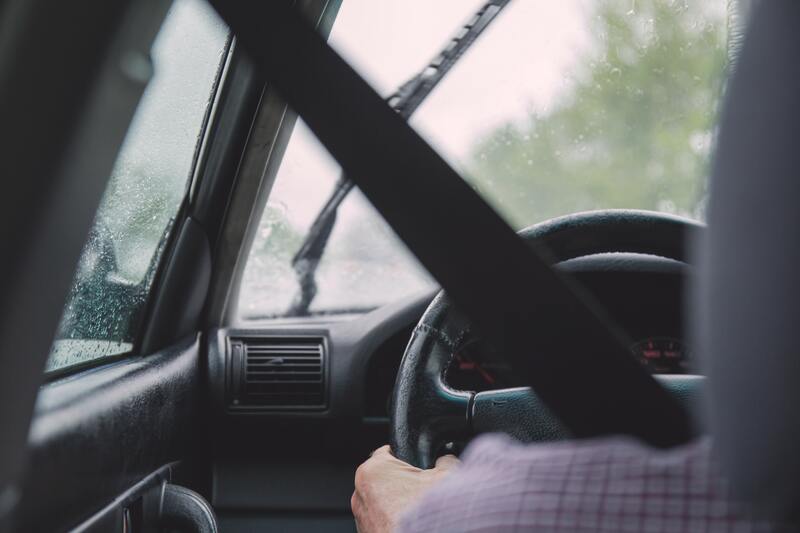 Factors such as the location of the accident, the weather and traffic conditions, the damage to your vehicle, and your injuries or the injuries of others in your vehicle will determine who you call first. Depending on the severity of the collision, police may want to attend the scene. Generally speaking, police will attend the scene of more serious accidents. Some minor collisions can be reported by filling out the appropriate paperwork at the police station. Failure to report a collision may result in a fine. To learn more about reporting an accident to the police, click this link to be directed to an EPS resource. Depending on the severity of your injuries or the injuries of others involved in the collision, emergency medical services may attend the scene. If you are hurt, seek medical attention and treatment. 2. Don’t forget to collect the relevant information from the other driver(s) involved. If it is safe to do so, you may wish to take a few moments to take photographs. You will want to collect as much relevant information as you can, in the circumstances, right away after the accident. Over time, evidence, information, and details that might be important down the line could be lost or forgotten if you do not record it now. Luckily, in this day and age, most people carry a smartphone that is capable of recording notes, photographs, and even video of the relevant information. Hint: You can ask to take a photo of their driver’s licence with your phone, as a helpful way to quickly record and store this information. Hint: Some of this information can be found on the other person’s insurance “pink slip” or on their registration card. You can ask to take a photo of these documents with your phone, as a helpful way to quickly record and store this information. Hint: These can be found on the insurance “pink slip”. You can ask to take a photo of these documents with your phone, as a helpful way to quickly record and store this information. Hint: The VIN can usually be found by looking through the windshield at the bottom corner of the dash on the driver’s side of the vehicle. You can ask to take a photo of the plate and VIN with your phone, as a helpful way to quickly record and store this information. Hint: This can help you to remember where and how the collision occurred and the make, model, and colour of any vehicles involved in the collision. This can also help you to remember the road, lighting, and weather conditions at the time of the accident. 3. Don’t forget to check to see if there are any independent witnesses, or nearby security cameras. If you have a dash camera, remember to save the footage. Independent witnesses can be helpful should liability or how the accident was caused become issues down the road. By independent witnesses, we mean witnesses who are not the drivers or passengers of any of the vehicles involved in the collision, but who witnessed the collision. If there are any independent witnesses, collect their names and contact information and keep it in a safe place in case you, your lawyer or your insurance company need it later on. In some situations, the accident may have been caught on security camera footage. If you notice a security camera in the vicinity of the accident, you may want to enquire whether the business or the owner has any footage of the collision on their system. You or your lawyer can then request a copy of that footage. If you have a dash camera in your car, you may wish to save the footage of the accident, for future reference. 4. Don’t forget to monitor your symptoms and speak with your doctor about your injuries. You may feel fine initially after the accident and only begin to notice your symptoms and injuries after a short while, or you may be in pain and notice that you are hurt or that something does not feel normal right away. In either event, it is important, both for your own health and for any potential claim that you might bring, to speak with your doctor and report your injuries to them. Even if an injury seems minor, if it is bothering you, it is important to let your doctor know. You doctor will be able to recommend relevant treatment and diagnostic/testing options and provide you with medical advice both immediately after the accident and throughout the course of your recovery. 5. Don’t forget to consider contacting a personal injury lawyer. From a simple fender bender to a major collision, being involved in a car accident can be overwhelming. Right after you’ve been in a collision, there are many moving parts and things that must be done. If you are hurt, there are even more considerations. You may require assessments and treatment, and there may be expenses associated with taking time off of work etc. A personal injury lawyer can help you to navigate this process and get just compensation. At Moustarah & Company, our experienced personal injury lawyers can assess the facts and your situation, provide you with an outline of your options, and help you navigate your personal injury claim. Call us today to book a free initial consultation.